Here are a couple of baked fish recipes that are my particular favourites. 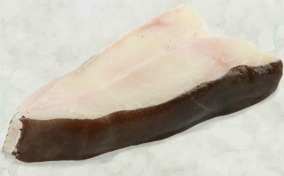 Halibut is available all year, but best from July to March - it's freely available frozen in the UK however. 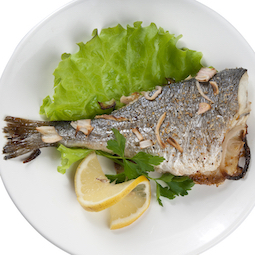 Sea Bream is available all year, but is best between June and December. 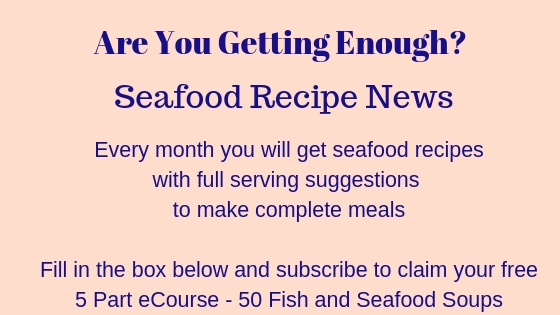 The second recipe is a lovely simple way of cooking a whole fish - Sea Bream is a favourite of mine, but you could use this method on any small whole fish of your choice. 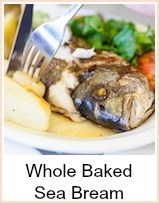 In all whole baked fish recipes, the cooking time should be 10 mins per lb (20 mins per kilo) and 10 minutes over. Grease an ovenproof dish and put your halibut in. Dot with the butter and pour the milk over. Remove the halibut and increase the heat in the oven to Gas Mark 8, 450F or 250C. Take out the backbone if your piece has one and strain the liquid. 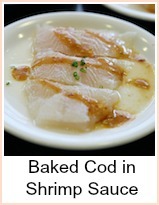 Divide the halibut steak into serving portions. Make a sauce out of the liquid, either thickening with cornflour or cornstarch. Add the grated cheese and season to taste. Place the halibut back in the dish, arrange the mussels and pour the cheese sauce over. Return to the oven to brown for about 10 minutes. Serve with some buttered new potatoes and green vegetables. Grease an ovenproof dish and lay the sea bream in. Season with salt and pepper, a squeeze of lemon juice and bake for 30 minutes. This is just so simple and tasty. Serve with potatoes and a salad. 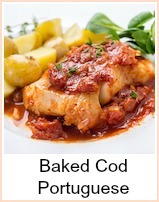 Two really gorgeous baked fish recipes, Baked Sea Bream and Baked Halibut with Mussels. Both super simple to prepare and wonderful to eat.